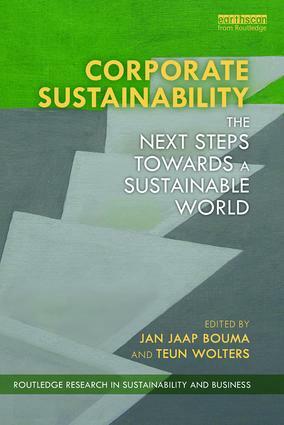 This book focuses on corporate sustainability and how it evolves through innovation and new business models. Despite what has been accomplished to date, there is an urgent need for further steps to be taken and this book presents a nuanced but compelling plea for collaboration between businesses, government and civil society. Drawing upon empirical research, the authors look at recent approaches to corporate sustainability, the circular economy and strategic corporate social responsibility. The book examines these issues from multiple viewpoints, including cultural, social and religious. More specifically, the book explores the freight sector (smart freight leadership), the banking sector (sustainable banking) and Islamic finance and sustainability, detailing the contribution of faith-based organizations to promoting sustainability and the greening of church buildings. Overall, this book captures the emerging new business models and capabilities firms need to implement sustainability. This book will be of great relevance to students, scholars and professionals with an interest in corporate sustainability, social responsibility, environmental management and eco-innovation.